Hornady has teamed up with the Lake City Army Ammunition Plant to produce these 223 Rem cartridges. 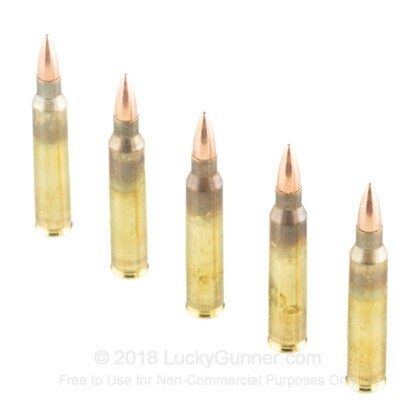 These military-grade cartridges offer an impressive combination of Hornady bullets and Lake City brass casings assembled using the most advanced manufacturing techniques available; the result is breathtaking consistency from each and every round. This 223 Rem ammo is topped with a 55-grain full metal jacket bullet. A versatile bullet style, the FMJ projectile is suitable for range training, varmint hunting, or personal defense. 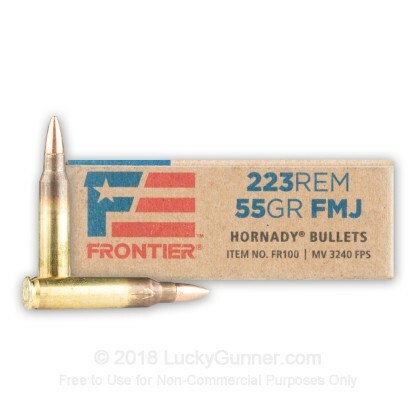 This 223 Rem ammo has a powerful muzzle velocity of 3240 fps, and each cartridge is assembled using a Boxer-primed brass casing that is reloadable. The primers and powders utilized in these cartridges are up to military standards. Hornady's reintroduction of the Frontier ammunition line is yet another example of their commitment to constant improvement in the industry. This ammo is American-made and perfect for your AR-15. 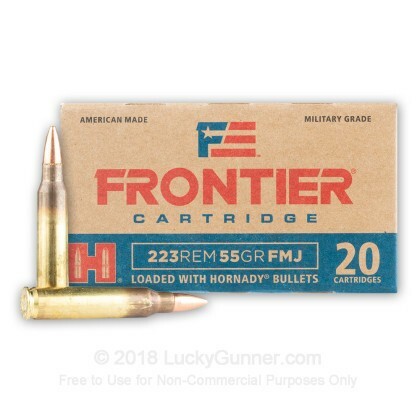 Order 20 rounds of this 223 Rem ammo today! I like Hornady ammo.. I really do... However the Frontier line seems to me ammo 'made' on the day of the week folks were actually working the machines rather than looking at the dials.. or their phones. I hope I never buy a rifle made on Friday... IMO Tuesday made rifle seem to be the best... the 'line' folks are still optimistic about the week and past any hangover of the weekend.. however the rest of the week is coming so Tuesday is the best they can offer. 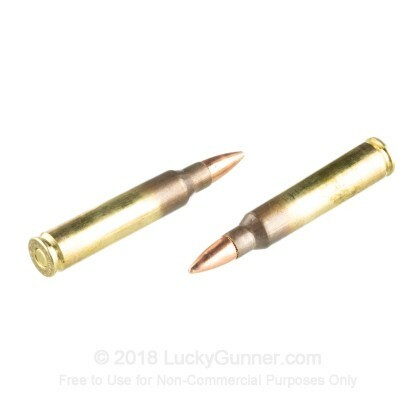 Oh.. bullets.. Based on cost per round $6.99/ .349 cents per round is not bad. I purchased 5 boxes and went through four and a half without a dud. I bought 3 more and had one dud in the last of the first five and four more in the latter 2 of the three. All duds had good strikes and two of the three were tried a second time... still no bang. 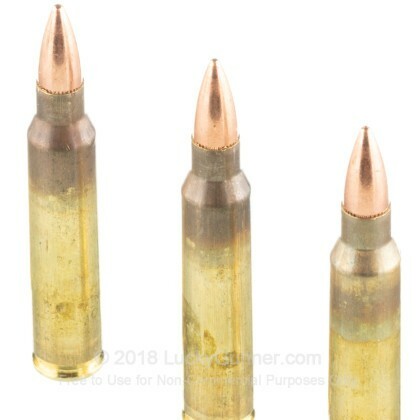 These were 'fired' in a Cooper MTV 21 bolt rifle. I keep all of my brass and like hornady brass. I will reload with better primers. all in all.. good ammo.. just a bit hinky. 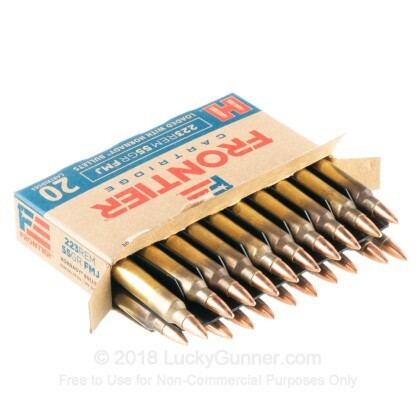 I bought 5 boxes of 20 rounds of these ammo to shoot on the range. Price was good, but when I used the rounds at the range, 30% of them did not fire, as primers did not go off. If you look at the percentage that did not fire vs price of rounds, it really is not good value for money.